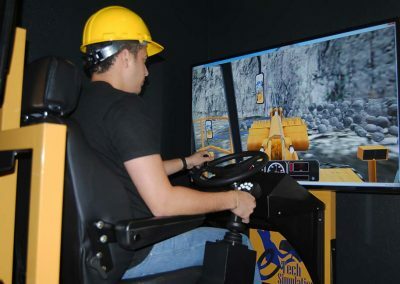 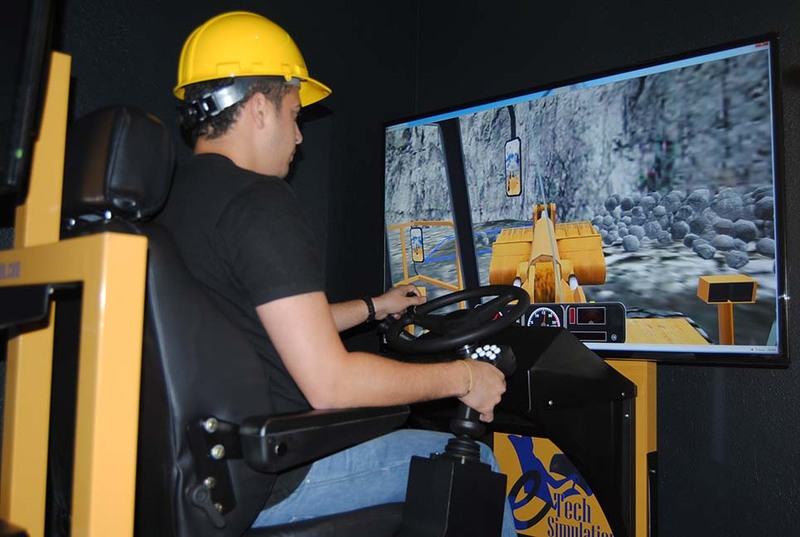 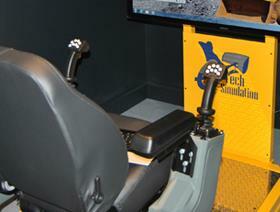 e-Tech´s Wheel Loader Simulator places the operator at control of a modern wheel loader at work in a typical quarry; interacting with a simulated off-highway Truck stick-steering and steering wheel steering. 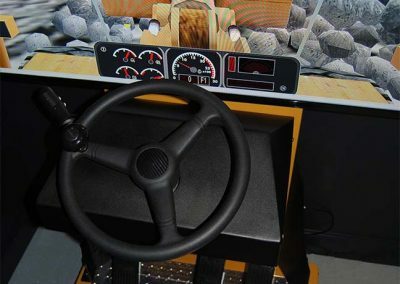 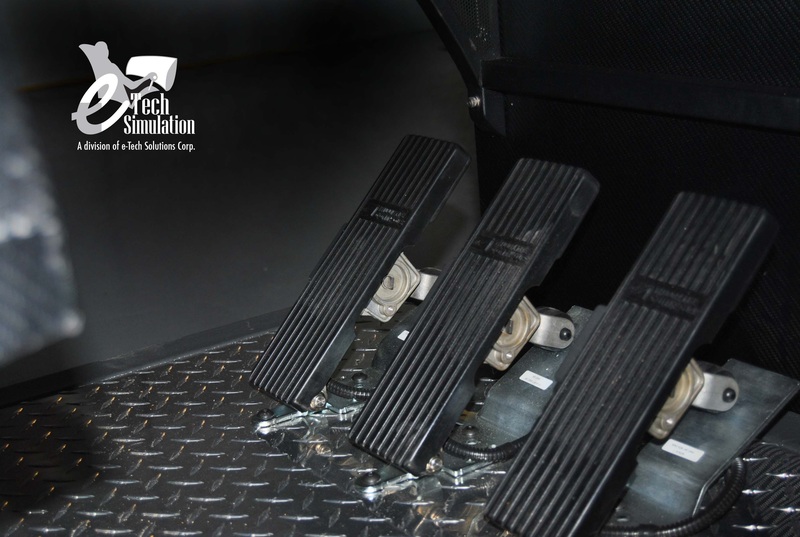 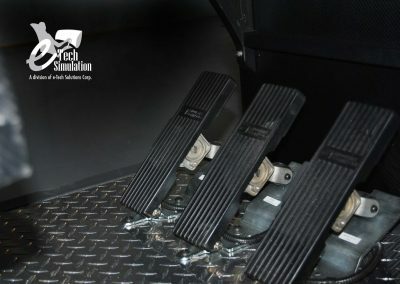 The simulator offers different situations and exercises for different training practices according to our customers needs. The Wheel loader simulator incorporates different simulation modules designed to address each of the technical abilities needed to operate a real Wheel Loader. 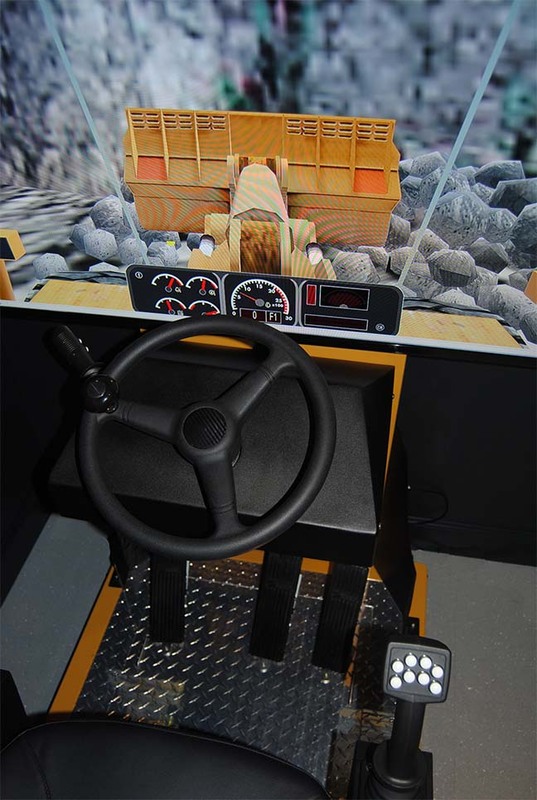 The initial modules help the operator learn and master the basic movements of a Wheel Loader. 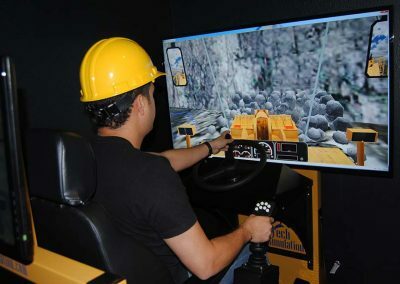 The next modules feature, digging, loading, unloading and Loading with truck spotting exercises.